Welcome to the Peekskill City School District Parent-Teacher Organization! 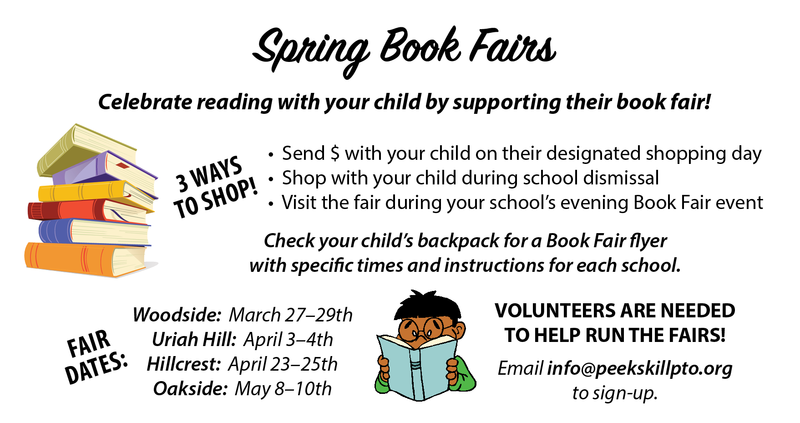 BOOK FAIR VOLUNTEERS NEEDED! Register in advance and work a 3-hour shift to receive a voucher for 10% OFF your book fair purchase.